The South West Coast Path is the spectacular 630-mile (1,008-kilometre) National Trail around the tip of Britain. 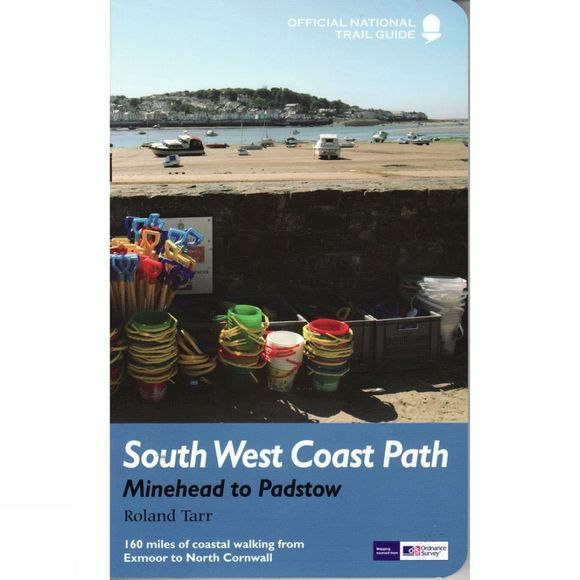 This volume features the section of the Path from Minehead to Padstow, a distance of 163 miles (266 kilometres). The Trail traces the beautiful coastline, through Exmoor National Park, Clovelly and Tintagel, following Natural England's acorn waymarks. This is the complete, official guide for the long distance walker or the weekend stroller. All you need is this one book. National Trail Guides are the official guidebooks to the fifteen National Trails in England and Wales and are published in association with Natural England, the official body charged with developing and maintaining the Trails.